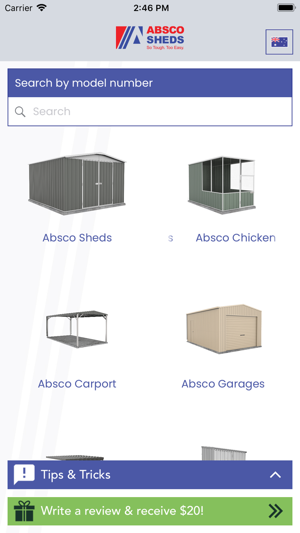 Absco Sheds is the market leader for garden sheds and outdoor storage products. Using the innovative SNAPTiTE assembly system, Absco Sheds assemble up to 80% faster than our competitors using 75% less screws. 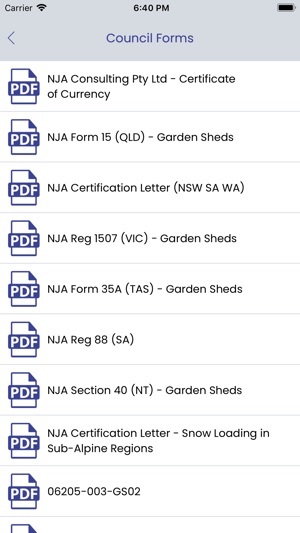 Absco Sheds have a 30 year written warranty and owned and made in Australia. 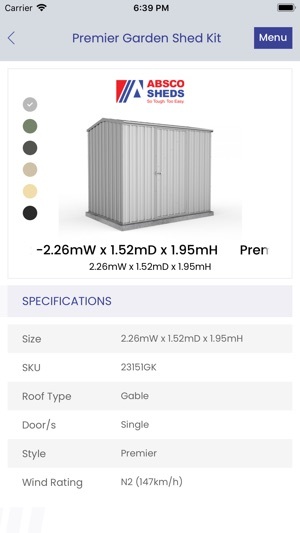 Using high quality tensile steel, Absco Sheds are engineered to withstand cyclonic conditions of up to 147km/hr winds. All Absco garden sheds have rolled safety edges and pre-drilled holes for fast assembly. Absco Garden Sheds are the premier choice for all of your outdoor storage needs. Whether it be a small or large shed, Absco Sheds can offer you a range of sizes and colours to fit within your home. I was trying to search my model for the assembly videos but couldn’t search it. Then I tried for 5-6 other models but couldn’t get a single model. Thanks for your feedback. There is a new version of the App Available where any missing models should now be available. I have one Abscomshed and happy with it. After a carport. The email did not work to obtain the forms. With an iPad Pro, it remains in portrait mode, a minor point but other apps can do it. 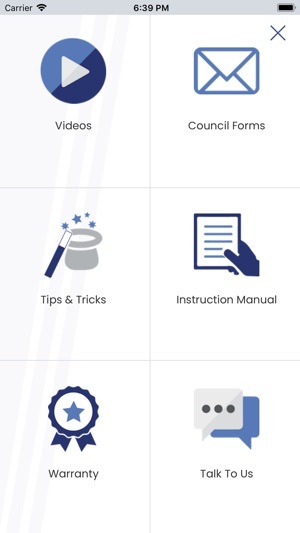 Suggest a few user trials with the app developer and it could be really good. Great app, but when imputing email address to send pdf, it thinks then completes but I never receive an email?